Usually when you see a Female-Fronted band, you're put in mind of a Symphonic Rock/Metal outfit. However, there are a few exceptions; Battle Beast and Kobra & The Lotus immediately spring to mind, and now the superb Canadian Metal act Unleash The Archers can be added to that growing list. 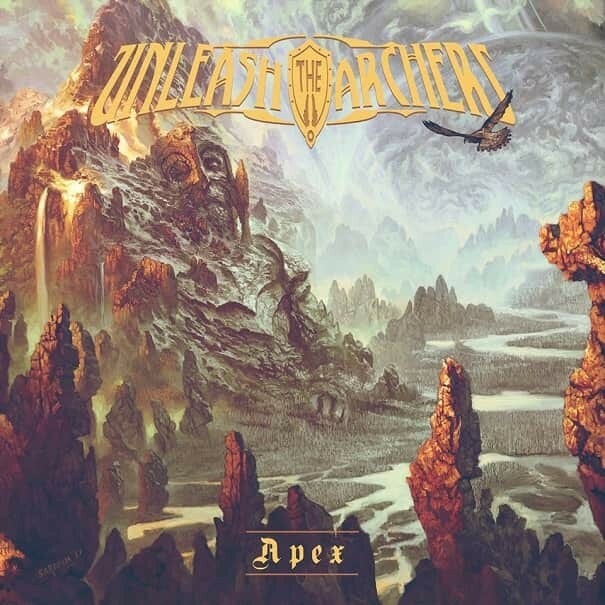 Unleash The Archers are heavy but they temper this with melodies that stick like glue. In singer Brittney Haynes (Slayes), they have a little Canadian powerhouse whose vocal roar brings a life force and fire to the songs that few others can match. 'Awakening' starts proceedings and it is a declaration of war from this band, a song of face-melting Metal with glorious hooks and strong melodies to show us what they're capable of. They continue this Metal attack with the caustic 'Shadow Guide', which again has a wonderful catchy chorus joined with some superb musicianship, the brooding passion of 'Cleanse The Bloodlines', the cracking 'Ten Thousand Against One', 'False Walls' – which is slower in pace than what has come before but this makes it no less intense a song, in fact, it's probably one of the album's better tracks with Haynes putting in a truly superb vocal performance – and 'Earth And Ashes' to grab you by the throat. I'd also like to highlight the album closer and title track 'Apex', a song where you can hear and feel that the band put their all into this one epic number, playing out of their skins to make it as good as they possibly could; to be blunt, it kills. I read online and saw many comments about the fact that fans of BB felt let down by their new Poppy slant on Metal. If you were one of those posters, grab yourself a copy of 'Apex' and wallow in the Melodic Metal might of a great new band with, on this showing, a big bright future ahead.